Custom for "Jenny" in Canada, an extra jumbo sized and flawless peach colored Hawaiian Sunrise Shell, full of "Vitamin Sea" to bring a smile to her pretty face! A beautiful shell, one of the largest and prettiest shells I've had the pleasure to create with! Wear with much Aloha Jenny! A MonicaByTheShore hand crafted seashell jewelry design, made one piece at a time on the North Shore in Haleiwa, Hawaii, with much Aloha. An incredibly beautiful shaped and colored jumbo extra large sized 1 1/2 inch Hawaiian Sunrise Shell Pendant. Classic yellow and soft pink color in this large sized top shell beauty, with thick & highly raised bumpy ribs in pristine condition! A "double bump" at mid shell displays a well defined growth ring. 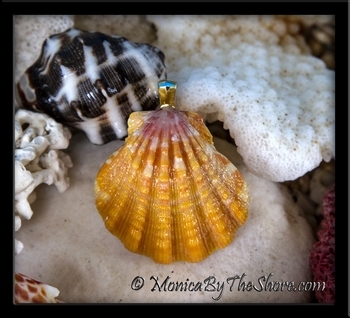 A top quality rare seashell from the North Shore of Oahu, Hawaii! 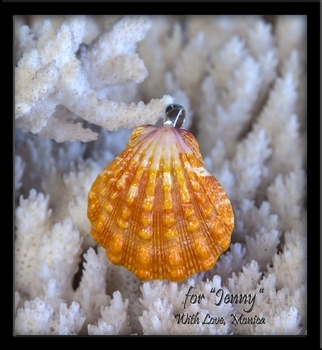 This perfect Sunrise Shell may be worn as an impressive pendant with it's sterling silver bail or it may be incorporated into a custom jewelry design of your liking. 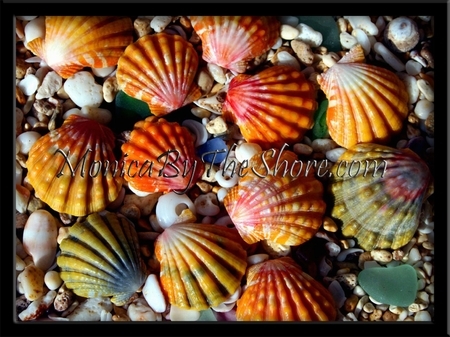 There are countless possibilities for this gorgeous shells presentation! Bright & beautiful pink and tangerine colored Hawaiian Sunrise Shell! In pristine condition & with bright color and great features in the knuckle ridges, a perfect top shell with a thick & sturdy sterling silver bail that will accept any type silver chain, cord or leather necklace. This seashell over 1 1/8 inches (28mm). An attention grabbing shell to be proud of! A MonicaByTheShore hand crafted seashell jewelry design, crafted with the finest quality rare Hawaiian Sunrise Shells to be found, made on the North Shore in Haleiwa, Hawaii, with Aloha and always one piece at a time. Sunrise Shell Pendants previous sold and shipped all over the World! Absolute perfection! Amazing tangerine and pink colored Hawaiian Sunrise Shell pendant with gold bail, ready for your own gold chain! This shells shape is so graceful, with a beautiful high dome that gently flairs out to highly detailed ribs, it is just stunning! An exquisite Sunrise Shell! This large Sunrise Shell pendant measures 1 1/4 inches in size. 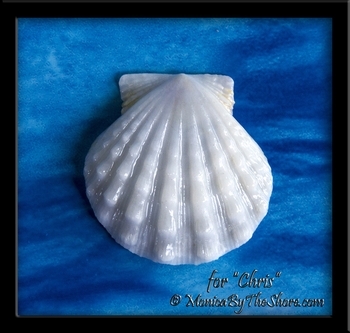 A dreamy seashell for the special Mermaid!